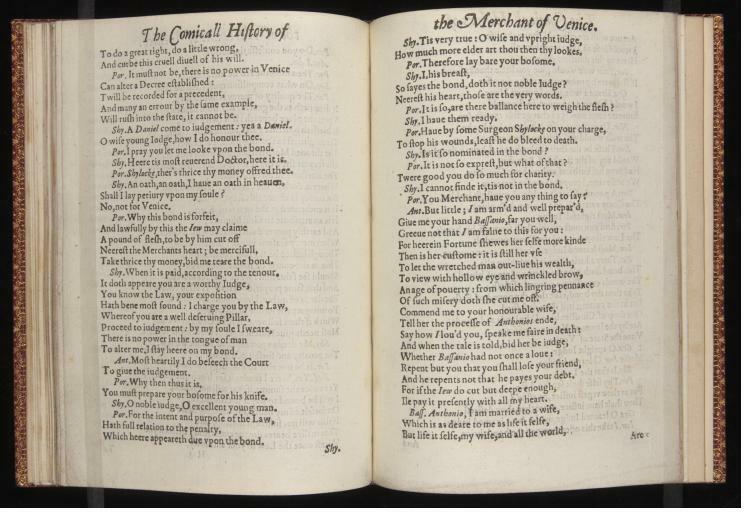 Like A Midsummer Nights Dream, The Merchant of Venice would seem to be another play to be printed twice in the year 1600–at least, if the title pages are to be our guide. 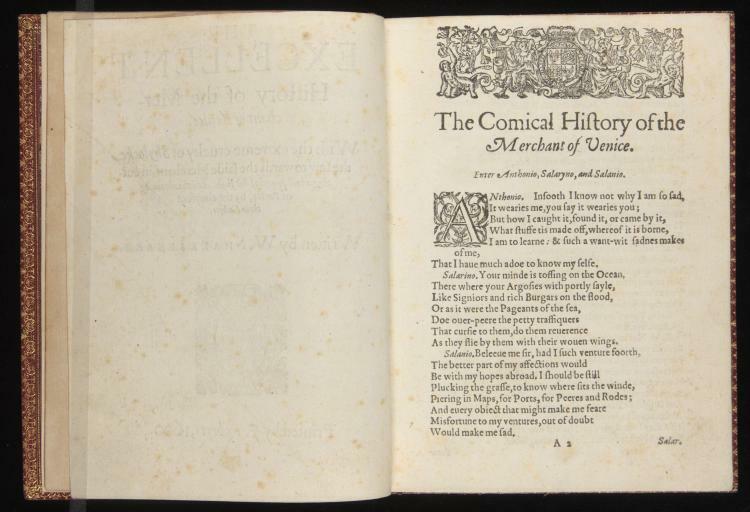 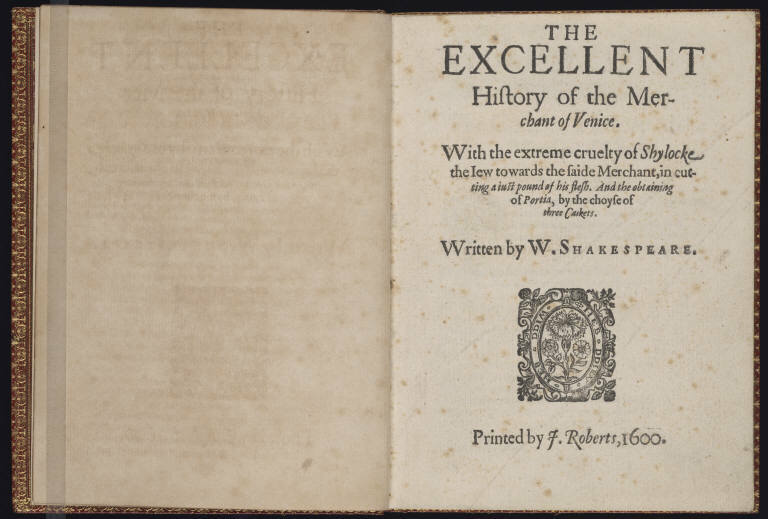 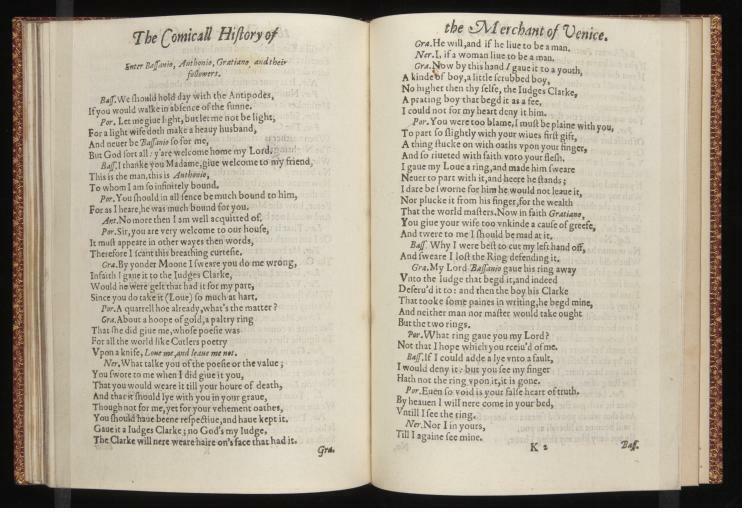 This edition of the comedy, however, advertising the efforts of one J. Roberts, bears evidence of a more convoluted history than that first page would suggest. 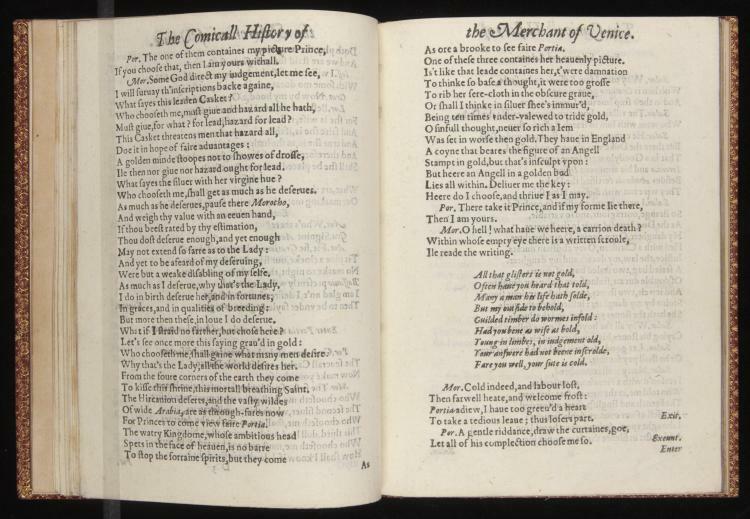 In all likelihood, this quarto shares much with the copy of Midsummer featured just yesterday, both of which bear the name of J. Roberts, and both of which seem to have been printed well after their putative printing dates, as part of the abortive efforts of Thomas Pavier and William Jaggard, for whom a collected edition of Shakespeare’s plays first seemed a vendible dream.